The Sustainable School is a 10,000m² building designed by Danish architects CEBRA and landscape architects SLA. 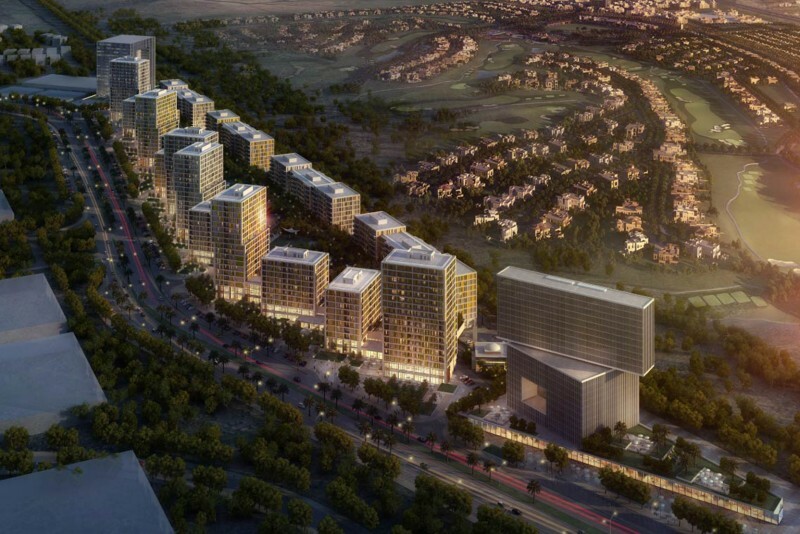 The project, in Dubai’s Sustainable City, aims at rethinking teaching and learning environments in a sustainable way. By creating an alternative to the often very dense and air-conditioned school buildings that are predominant in hot climates the students are encouraged to stay and learn as much outside as inside. The school takes advantage of the warm climate and moves many of its functions away from artificially air-conditioned rooms and out in a naturally cooled environment. At the school the students go directly from the classrooms into open learning landscapes with diverse greenery, cooling wind towers and shaded outdoor spaces, which ensure a pleasant climate for all school activities. The local climate and vegetation constitute active design parameters that both shape the physical environment of the school and form an essential part in teaching activities. Construction began in 2015 and is continuing. Completion is scheduled for September 2017 in time for the new school year.